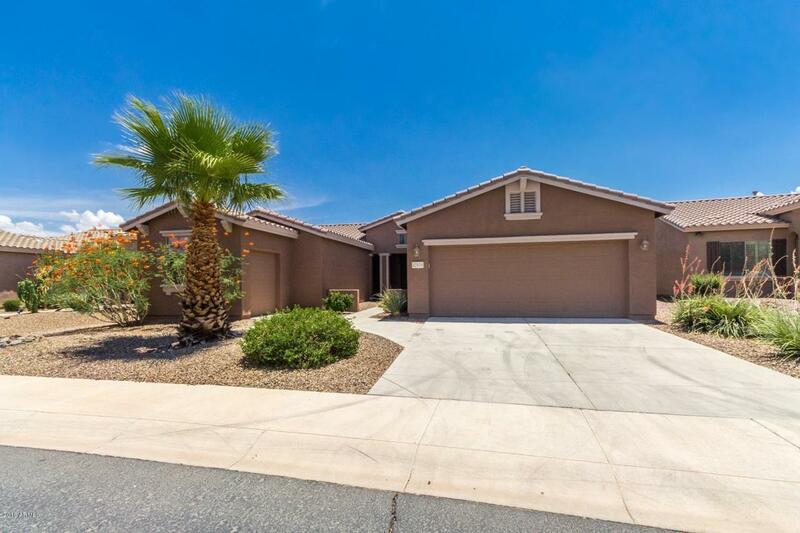 Stunning new granite counters and intricate tile backsplash plus new appliances await in this freshly updated home complete with tile plan flooring and new carpet throughout! The great room features a multi-media center with a cozy fireplace framed in beautiful stonework. Just off the great room is an office or den area, plus another bonus room that could be a formal dining space or hobby room. Fresh interior and exterior paint throughout too! Enjoy a master planned, gated community with every modern amenity you could dream of in Province in Maricopa - a premier active adult community complete with guarded entry! Look for the *3D-Tour*!